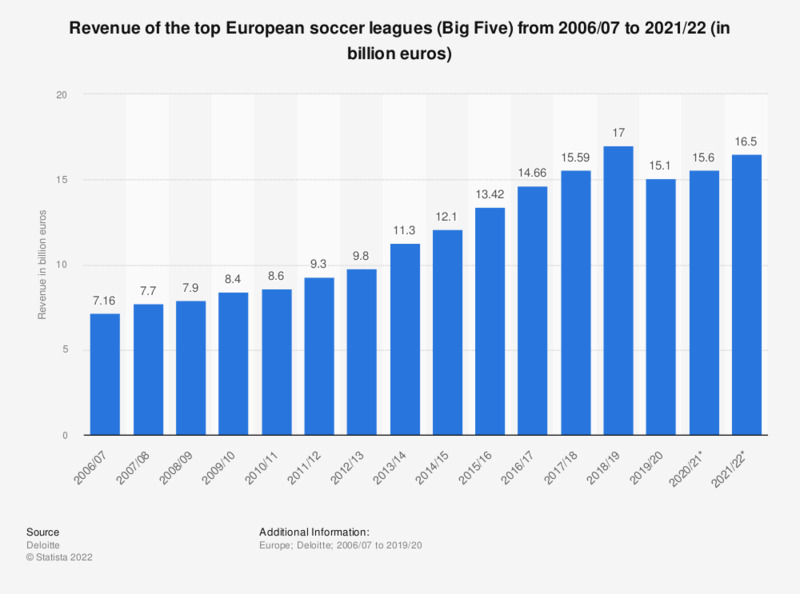 The statistic shows the total revenue of the top European professional soccer leagues (Big Five) from 2006/07 to 2018/19. In the 2016/17 season, the total revenue of the "Big Five" leagues was estimated at 13.99 billion euros. * The term "Big Five" refers to the top-tier soccer leagues of England, Germany, Spain, France and Italy.